You are here: Home » Emerging DAM Technologies » Do You Need Mobile DAM? Do You Need Mobile DAM? One of the recent themes in DAM with the corporate users I deal with, is the role of mobile. When asked to explain the reasoning behind their interest, some commonly-held misunderstandings about our subject are sometimes revealed. 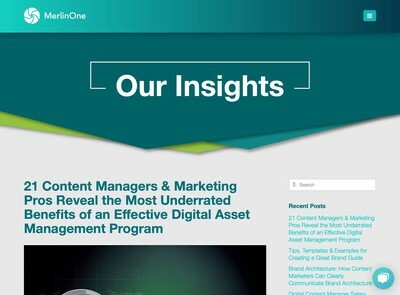 These are partly related to topics I mentioned a few weeks ago in my article, Understanding The Difference Between Digital Marketing And Digital Asset Management. In this piece, I am going to attempt to arrive at a consensus series of justifications for mobile DAM, where it has a part to play and scenarios where it does not. The world is going mobile, soon no one will use anything else other than a mobile device. Our digital assets need to be accessible to mobile device users. We need to review digital assets from different locations and it would be more productive to be able to do this away from an office environment. We need to capture digital footage in the field and mobile devices are the most practical way to achieve that. Of the above, only two of the statements are adequate justifications for mobile DAM. 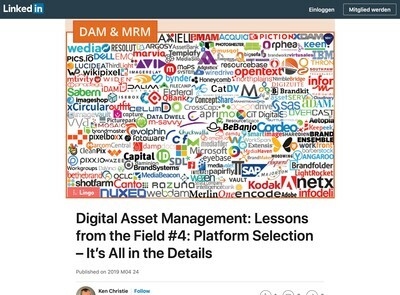 I am going to address each of them below, but one issue that becomes clear very quickly is the widespread confusion between ‘digital assets’ and ‘Digital Asset Management’. This really should not be the case. To make a comparison. most people understand that photos and photography (although they sound similar) are not the same thing, but some people’s logical processing capabilities can desert them when asked to apply the same understanding to our subject. I do not believe the individuals concerned fundamentally cannot grasp the difference, it is more that they have not considered the issue properly and have, instead, incorrectly relied upon the linguistic proximity of the words as a substitute for forming an opinion. 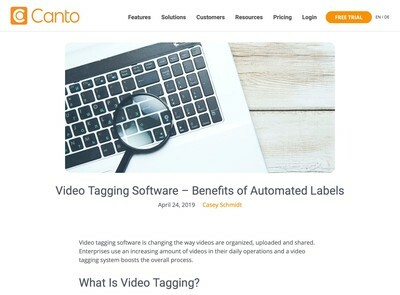 This should give pause for thought to anyone who thinks we are all now highly advanced in our collective grasp of what Digital Asset Management is and its implications for enterprises. It is the case that many more websites and applications are now accessed through mobile devices than used to be the case even in the last two or three years. As discussed in the previous section, however, there is a difference between consuming digital assets and managing them. The purpose of your DAM system is to help you organise and manipulate your digital assets: it is a business process and (above all else) about operations management and enhancing productivity. The key consideration, therefore, is does a mobile interface help those with responsibility for managing digital assets to achieve this? Usually, the answer is no, because most of the time they are not in a setting where a mobile device offers a lot of benefits. The argument that the world is going mobile is often advanced by IT personnel. I note that while they are all keen users of mobile devices, a quick glance over their own desks in the workplace (or at home) will usually find banks of high-specification desktop computers, laptops, multiple monitors, plus not just one but usually two or even three tablets and/or mobile phones. The reason is clear enough, mobile devices are unsuitable for serious and extended interaction (and this isn’t likely to change soon). Like everything else associated with IT, you generally need at least two different options to reliably stand a chance of getting work out of the door. Cataloguing thousands of digital assets, large scale batch-manipulation, designing complex workflows, dealing with research requests and the other tasks that are typical for Digital Asset Managers requires at the very least a decent-sized screen so you can see everything properly. I would accept that not all users have such sophisticated needs, however, what I would question is whether they are (or will be) users of DAM solutions, but instead will get digital assets via some other means. Whether that channel is likely to be dominated by mobile depends on the circumstances of each case and it is not possible to derive a universal conclusion that applies to everyone. This is a slightly better reason to consider mobile DAM, but it’s still more about usage of your digital assets than management of them and for that reason, the rationale is not a strong one. The accuracy of this statement depends on how your assets will be used, i.e. the reason why you need digital assets to be accessible to mobile device users. There is often a misunderstanding between digital assets when used as component or element within a composition (e.g. website, video, brochure, training programme etc) and someone accessing an asset because they require it to fulfil a task (for example authoring a sales presentation or preparing a proposal document). I can see an argument that articles for on web pages might be authored via a WCM on a mobile device, but then that suggests it is the WCM which is used to access the digital assets (i.e. an integration exercise, not a need for a DAM with a mobile interface). I wait to be corrected on this, but I do not believe most users carry out in-depth production or authoring work on mobile devices. While there might be some limited activities, such as choosing from pre-defined selections of assets (e.g. images) these extend outside the scope of what DAM solutions exist for and into other areas which are a different problem domain. The statement might be better expressed as ‘our digital assets need to be usable within media that may be consumed on mobile devices’. That is not a valid justification for mobile DAM, however, it is just a description of the destination of some of (but probably not all) your digital assets. I have slightly more affinity with this proposal than the previous two. It is reasonable that some approval features may well need to be carried out from mobile locations, for example, on your way to or from the office. With that said, the use-case is still quite a narrow one. I have some knowledge of software development and this gives the impression of being a facility that a moderately skilled engineer could implement within a relatively short space of time. As such, the existence (or not) of this feature should not be a reason to choose one solution over another. I will return to this point later as it does point the way towards a limited role for mobile in DAM, however. This seems like the most solid reason for mobile DAM. I do work with a few clients who have this kind of requirement and the ability to capture digital assets and transmit them direct to a DAM is a must-have for them. With that said, not everyone has the same need (very few, in fact). Further, this is also something which would not be that difficult to implement as an enhancement to most solutions. Around 13-14 years ago (several years before reliable mobile internet access was prevalent) and when my employer was still involved in the systems business, we built various add-on tools to allow capture and storage of still images in the field and then transmission when connectivity was available (e.g. at a hotel or back in the office etc). Many of the more recent solutions I have seen work in more or less the same way, they just send the data immediately now and even with that said, some kind of local storage is still essential for safe use because of the risk that the connectivity will fail and cause the digital asset binary data to get lost in-transmission. Although the business case is a stronger one, the number of users who it applies to is relatively low and when you ask many DAM users who think they need this to explain why, there is sometimes a brief pause while they try to think of something. If you needed more than a few seconds to do that yourself, it is probably a lower priority requirement for now. There is one aspect I have not considered above and I think this is a far more useful way to approach this subject. There are a few occasions where some emergency time-critical task has to be carried out using any internet-connected device to hand, including possibly a mobile phone or tablet. In those scenarios, having a DAM which is mobile-accessible is a definite advantage. As such, if there is one takeaway point it is that mobile accessibility, as opposed to heavy optimisation for mobile devices is far more important for productivity and operations-oriented applications such as Digital Asset Management. On this point, it should be noted that most mobile devices have web browsers which are functionally equivalent to their desktop counterparts these days and that alone is likely to be good enough for most purposes, rather than specialist apps with gesture controls etc. Ensure you fully appreciate the difference between digital assets and digital asset management (as a business process) before making decisions about the necessity for mobile support. Most of the serious work by Digital Asset Managers (the people who make the whole exercise possible to begin with) will still happen sitting down, at a desk, in front of a monitor with a mouse and keyboard, as has been the case now for around thirty years. Mobile review and field-based upload features might be useful, but they should not usually be deal-breakers to chose one product over and above another, unless you have a definite business requirement that dictates otherwise. Some capability to access the DAM via a mobile device to carry out basic tasks when a more conventional device is unavailable is a useful benefit to expand your options should the need ever arise. 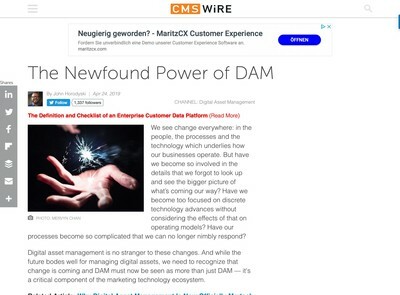 If your DAM works adequately on your mobile web browser, that would probably be good enough, even if you would not normally use that device for DAM-related tasks out of choice.